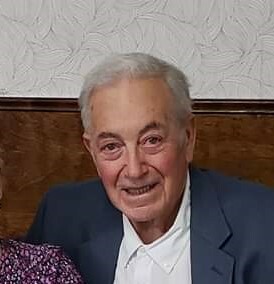 GUILDERLAND – Aaron J. Merritt, 85, of Schenectady, passed away peacefully on Tuesday, April 02, 2019 at Ellis Hospital, surrounded by his loved ones. He was born in Schenectady and was the son of the late Aaron and Virginia Merritt. Aaron served in the US Army during the Korean War. He was employed as a steamfitter for General Electric Company in Schenectady for several years. He was also a self-employed plumber. Aaron is survived by his children, Gary (Maria) Merritt, Gregg Merritt, Glenn (Jackie) Merritt, Rhonda (John) Nueberger and Jim (Susan) Ryder. He is the longtime companion of Roberta (Birdie) Ryder. Aaron is the brother of Arlene (Bill) Tucker, Tom (Debbie) Merritt and the late Jim Merritt (Marlene survives). He is the cherished “Grumpy” to several grandchildren and great grandchildren.